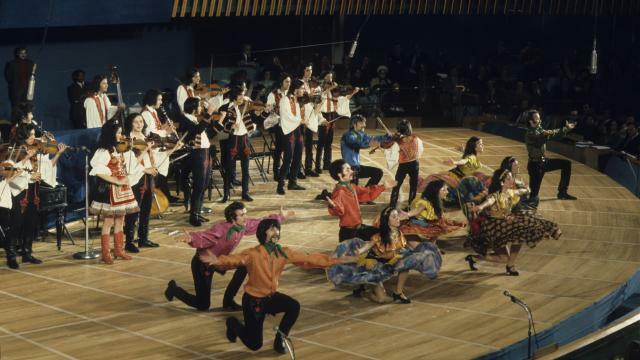 1974 Human Rights Day Concert at the General Assembly Hall in New York: The Rajko Ensemble, pianist Piotr Paleczny, Maurice Sonar Senghor and the National Dance Company of Senegal. FOR LISTENING PURPOSES ONLY. UN Photo 311587. The Rajko Ensemble performing “Songs and Dances of the Hungarian Gypsies”.